Central Bedfordshire Council will be at the Kingston Centre shopping mall in Milton Keynes next Thursday (November 29) to answer questions and queries from the public about its project to upgrade the remaining section of the A421 into dual carriageway into Milton Keynes. The council started preparatory site work on the A421 this September, and has been clearing the site, putting in new fences, and relocating utility pipes and cables. Early next year they will start the main construction of the dual carriageway, which will run from Magna Park in Milton Keynes to the roundabouts by junction 13 of the M1. The majority of this 3km stretch falls into Central Bedfordshire. Central Bedfordshire Council is therefore leading on the project but is working with Milton Keynes Council. Both councils are each contributing up to £3million towards this £28.5million project. Key team members from both councils and from the contractors will be on hand during the 29 November to answer any questions or queries the public may have. They will be located in the area just outside the Tesco and Costa Coffee stores at the Kingston Centre at Winchester Circle, Milton Keynes MK10 0BA. Councillor Ian Dalgarno, executive member for community services at Central Bedfordshire Council, said: “This section of road is used by around 30,000 vehicles a day. The new dual carriageway will help ease congestion and take traffic away from local parishes, so increasing safety and benefiting local businesses and commuters. 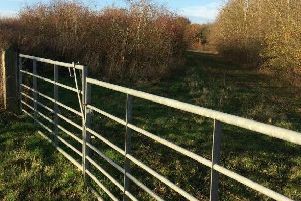 Next year the widened carriageway will need two bridges to be extended: the Cranfield Road bridge, plus another footbridge near Hulcote that will safely take pedestrians, horse riders and cyclists over the wider A421 and the M1 (via four public rights of way). The current Cranfield Road bridge is expected to be closed for up to 14 months whilst the improvements are done. The council is working with its contractor to reduce this period if possible. The new A421 dual carriageway is expected to be finished by the end of 2020. The event next week will run from 12 noon to 8.30pm.